Way back in 2010, I wrote a post called “how to build a meal-sized salad.” The idea behind it was to distinguish between salads that fall into the category of side dishes, and salads that are hearty and nutritious enough to constitute a meal. In the post, I suggested that a hearty, meal-sized salad should have at least two sources of real nutritional density that aren’t vegetables; some examples I gave were healthy fats, whole grains, tempeh, and nuts and seeds. The spirit of that post still rings true to me, even if the ingredients and combinations I used then are different from the ones I’d use now. Today, I’d probably emphasize raw foods and products a bit less, grains and beans a bit more, and I’d reduce the portions of greens slightly to make space for even more variety (more on this in a moment). I think I’d go further than I originally went and offer that a really balanced, meal-sized salad should probably cover all of the macronutrient bases: protein, fats, and complex carbs. Macronutrients–proteins, fats, carbohydrates, and macrominerals, like calcium and magnesium–are the nutrients that we need a lot of to function and thrive. They stand in contrast to micronutrients–trace minerals (like copper or iron), vitamins, and phytonutrients–which are crucial for good health, but which we only need in small doses to guarantee adequate intake. Fruits and vegetables are notably high in micronutrients, which is why you might often hear them described as “nutrient dense.” Fruits and vegetables are often good sources of carbohydrates, too, but they’re not always the most reliable sources of fat or protein (there are exceptions, of course–avocados are excellent sources of fat, and ample portions of greens can be a decent protein source as well). A tendency that I’ve observed in my own life and also among my clients is the habit of piling up plates of foods with tons of fruits and vegetables, leaving perhaps too little room for concentrated sources of protein, fats, and carbs. The point of this post is to offer a gentle reminder that, even if you’re loading up on colorful, phytonutrient and vitamin-rich foods, it’s important to keep macronutrients in mind, too. It’s a similar message to what I was trying to convey with the meal-sized salad post, but it doesn’t just apply to salads. If you’re wondering how I could possibly find reason to criticize hefty portions of vegetables or fruit, rest assured that I’m not in any way trying to dissuade an enthusiastic appetite for produce! Obviously, the majority of folks could probably afford to focus more on fruits and veggies, and less on other foods. But a lot of the topics that I’m inspired to write about on my blog are drawn from my experience with clients, and I’d say that most of my clients are above-average vegetable eaters. Some of them even report feeling a certain amount of anxiety about eating enough vegetables, greens especially–an internalized pressure to eat a certain amount with every single meal. When I look back at my own history, for example (and this is easy to do, by browsing early blog posts), it seems as though I had to serve everything on top of either a giant plate of greens or a giant plate of spiralized zucchini (or some other watery vegetable). Part of this was genuine taste for and enthusiasm about green leafy vegetables. But I think that part of me–the part that was still susceptible to ortherexic tendencies and thoughts–was also leaning a little too heavily on fruits and vegetables because I thought of them as being the most healthful foods. 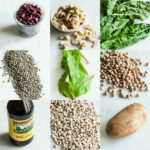 They were/are every bit as healthful as I imagined, but so are many other plant foods, including the legumes and soy foods and grains that I tended to skimp on. 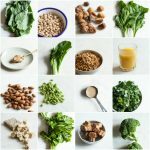 These foods really are as important as leafy greens and other veggies in helping us to remain well-nourished and balanced. Another potential problem with overdoing it on veggies within a meal is that vegetables are so rich in fiber that they fill us up very quickly. This is great for our sense of satisfaction during and directly after a meal, and it can be a useful tool in hunger management and weight loss. It can be a problem, though, when it makes us too full to enjoy the other components of our meal, some of which may offer us the nutrients we need to stay satisfied longterm. 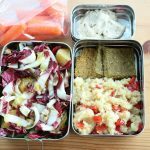 If you feel as though many of your lunches or dinners focus on vegetables at the exclusion of other foods, or as if you’re becoming a little frantic about how many servings of leafy greens you eat with every meal, consider whether or not you might be crowding out some macronutrient-dense foods by filling up on veggies. Again, I know that eating a lot of vegetables sounds like a very good problem to have, and for the most part it, it is. But if you find yourself uncomfortably full after a vegetable-based meal, yet hungry soon after, or if you have questions about whether or not you’re getting enough of what you need, this tip may be a useful one for you to remember. I often encourage my clients to do a quick scan of their meal before they sit down. While I don’t have some magical ratio of macronutrients that I recommend, I do invite them to ask, have I covered my nutritional bases? Do I have some protein in this meal? Some healthy fat? A good source of carbohydrates for long-lasting energy? A simple adjustment, like adding a sprinkle of edamame to a stir fry or a portion of quinoa to a lunch salad, can go a very long way in helping to source all of the necessary macronutrients and ensure lasting satisfaction after a meal. Posts like this one are hard to write without running the risk of oversimplification. As I said, some fruits and vegetables are good macronutrient sources (especially when it comes to complex carbs), and at the end of the day, there’s nothing wrong with a vegetable bounty on one’s lunch or dinner plate. But I suspect that, for this audience of vegetable-lovers, the topic might strike a few chords. In other words, things have a way of balancing out. I loved this piece, and I can certainly identify with the orthorexic need to pile one’s plate with an excessive amount of fruits and vegetables. I think that’s why, in recovery, I’ve been so attracted to the macrobiotic diet because (obviously) fats, protein, and carbs are always accounted for in each meal. I completely agree with your approach, Gena. As I recently shared on my blog, the main thing I am looking for when I feed my family (2 young kids and husband), is to make sure that at the end of the day we all ate a variety of foods. For us this means that we ate nutritious and delicious foods that have protein, healthy fats, and fiber. I say fiber instead of carbohydrates since most of the foods that have fiber have also carbohydrates (fruits, vegetables, whole grains, legumes). Thank you for another balanced article, Gena! Thanks, Alina — I’m glad you like the post, and I think it’s great that you’re paying such careful attention to the balance and variety of your family’s diet! And yes — fiber is important to remember, though within a plant-based diet, I think it tends to take care of itself. Such a great post and definitely something I have struggled with in the past! Gena, you really nailed it! This post is a great reminder. 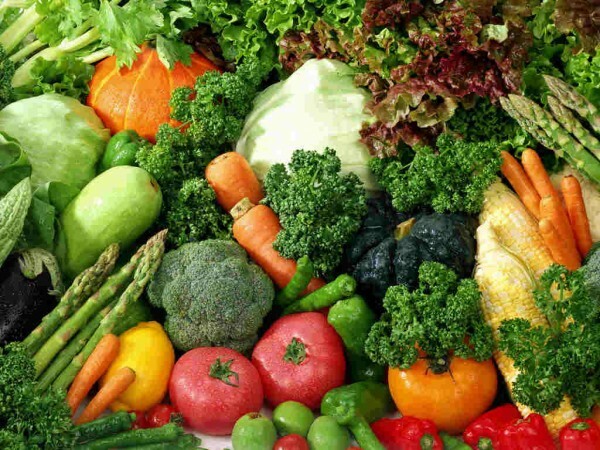 Most people equate healthy eating with vegetables and fruits – problem is, they’re concentrating on just the vegetables and the fruits. And then more often than not, abandon the whole ‘healthy eating’ idea because it’s not ‘working’ for them. Well, if you’re missing all the macronutrients, it’s really not going to work and one’s body will not be able to keep up. This is exactly what they need, a great post, a healthy reminder! Love this comment, Jennifer, and I think it raises an important point. I agree that many cases of veganism not working for folks (at least that I’ve seen) were linked to a shortage of sufficient macronutrients. Thanks for weighing in. I think I can also identify with this post a lot. I used to always want incredible amounts of veggies and fruits for every meal I had, but the huge amounts of fiber and the big volume could sometimes make me feel pretty uncomfortable. Especially because I’m a competitive runners, this made me feel pretty bad during practice… Now, I think I’ve figured out a good compromise. I have “normal” meels with good carbs, fats and proteins and a medium-sized amount of fruits for the breakfast, lunch and in between and for dinner, I treat myself with a big salad along with some carbs and proteins, which gives me enough micro- and macronutrients and keeps me satiated at night as well as letting me sleep well. Hanna, so glad that you feel as though you’re finding a healthy balance in this arena — especially so that you can support your body’s training and recovery. Thanks for commenting. From the title I thought this post was going in a very different direction. Not that it wasn’t wonderful advice, especially for those prone to food ruts (green smoothie for breakfast, energy bar for lunch, giant salad for dinner, etc.). Where I thought you were headed was toward warning your readers to be suspicious of any diet or eating plan that significantly restricts one or another macronutrient (low fat and low carb being the most well-known, though fruitarian diets are not only low fat but also low protein). There may be health conditions (epilepsy) where one of these diets is warranted, but for most folks, we need keep all three in some sort of healthy balance. I think that the issue of dietary paradigms that significantly restrict a macronutrient could be another great post, Elizabeth, though of course it ties in here, so I’m glad you mentioned it. I agree that most folks (there are always exceptions) benefit from an overall balance, even if that balance and the proportions involved might vary slightly from individual to individual. This has come at a good time for me. I have been struggling with the idea that we should eat primarily vegetables and fruits, and little to no whole grain, fat, and protein. 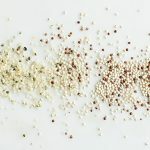 I have been miserable, and recently decided that I would eat more in line with what is outlined in this post, in spite of what certain experts say. I have felt a bit like I was striking out on my own, and I am very grateful for the sanity and support of your post. Thanks, Suzanne. I’m glad that the post feels like a comforting reminder, and reinforcement of something that you were already feeling intuitively. Great post. I like to change the thinking of fruits & vegetables to vegetables & fruits as the veg needs to be the cornerstone of the diet. The balance is key as you pointed out so looking to include those good sources of protein and healthy fats helps round it out nicely. 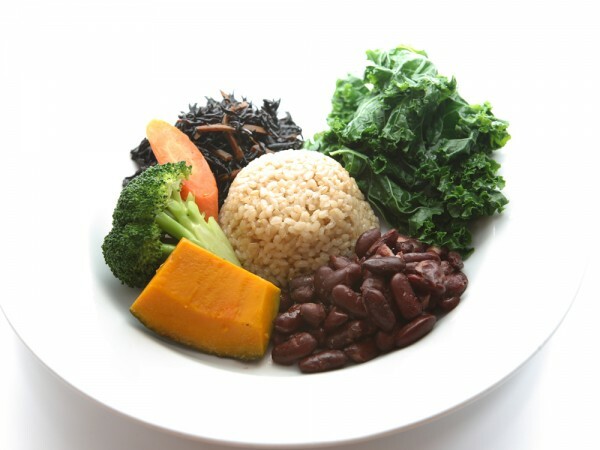 A diet should be plant based but that’s not always just dark leafy greens. Olive oil, dark cacao, nuts and seeds etc are all plant based but just don’t look like kale obviously! I love this, Gena! Such great and important info– really hits home for me. Thanks for sharing. Thank you for such a wonderful, honest, and thoughtful post. I often find myself slipping into the “all green, all the time” mentality and do not focus enough on the other important parts of my diet (and for me, like several other individuals, they are the “scarier” parts I need to put more emphasis on). This post could not have been written at a better time; thank you for your honesty. I will be referring back to this post frequently for inspiration and motivation. This was truly an inspirational post and full of great reminders and information. What would you advise on vegan protein requirements for individuals? 0.4 multiplied by one’s body weight in pounds… thanks! That’s a good overall recommendation, yes. Of course, there can always be circumstances in which someone needs more or less–this goes for all macronutrients, because bodies are so different. But the 0.4 per pound figure is workable as a general ballpark. For someone who needs to gain weight (such as myself), would you still suggest consuming 0.4 grams protein per pound of body weight? I understand everyone is different, so just curious if I would start with this figure and see OR would I typically need more when repairing loss muscle/body mass? Terrific, timely reminder for us folks who are prone to food ruts…I’m really good re. getting adequate protein from soy foods and legumes and mounds of veggies and fruits of course, but in the summer time, I am guilty of skimping on grains, and sometimes feel a bit lethargic and in need of ‘something more’ after a particularly active day as a result. (I can’t figure out how those many low carb fanatics sustain themeselves and claim to thrive…). Thanks for the nicely nuanced reminder. I actually felt myself sigh with relief at this post. The me from a a few years ago and up until recently, was constantly at battle with myself over not enough “green” things. I was convinced that I was eating too many carbs & fats and not enough kale and spinach (and other veggies). I’ve recently been adding more carbs and more fat to my meals and am really loving it. I feel fuller longer and just feel my body respond better to it. I love my veggies and fruits, but I also love a wide variety of things and can enjoy them together. I deeply resonate with this as the leafy greens propaghanda was drilled into me over and over again (once again – I agree – leafy greens are great but some of us go to extremes). I used to eat huge salads and be sooo full only to find myself hungry two hours later. Now, I still can’t eat a meal without any vegetables but I’ve come a long way. Especially when the vast majority of people don’t get enough veg, and as a result I end up reading vast amounts of literature to eat more greens, this was a very relieving source of balance. Thank you Thank you Thank you! So glad the post felt refreshing and validating, Alison. Glad you’re finding a little more ease with this issue lately! Thank you so much for this post, Gena. I really respect how you are open about your changes in your diet. 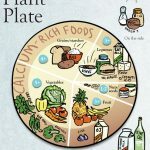 I’ve been struggling to maintain a plant based diet and beating myself up about it. This piece helped to validate and frame my concerns about my own macronutrient intake. I’m also a nutrition student and sometimes when I’m struggling with school work (I’m still in the pre-req phase and currently reading about kidney filtration rates), finding blogs like yours inspires me to keep going because it reminds me of how empowering the field of nutrition really is. Gena, this post is excellent. I’m an RDN (primarily work with various EDs but also a fair amount of chronic medical conditions) and talk about this quite a bit with folks. I’m a long time on and off reader and just stumbled upon this today but am going to print for reference. Thank you!